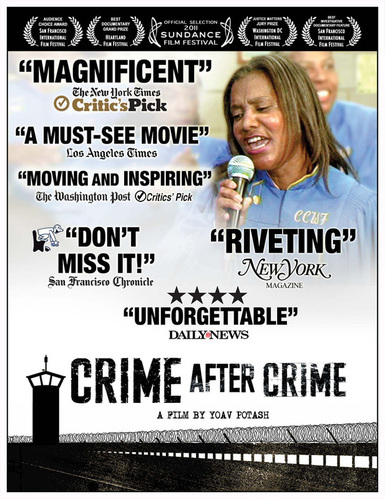 Joshua Safran, his client, and co-counsel are subjects of the award-winning documentary Crime After Crime – screened on the Oprah Winfrey Network and in theaters nationwide. The film, an Official Selection of the 2011 Sundance Film Festival, has won 25 awards. In 1983, Deborah Peagler, a woman brutally abused by her boyfriend, was sentenced to 25 years-to-life for her connection to his murder. Twenty years later, as she languished in prison, a California law allowing incarcerated domestic-violence survivors to reopen their cases was passed. Enter a pair of rookie land-use attorneys convinced that with the incontrovertible evidence that existed, they could free Deborah in a matter of months. What they didn’t know was the depth of corruption and politically driven resistance they’d encounter, sending them down a nightmarish, bureaucratic rabbit hole of injustice. The outrageous twists and turns in this consummately crafted saga are enough to keep us on the edge of our seats. Meanwhile, the spirit, fortitude, and love all three characters marshal in the face of this wrenching marathon is nothing short of miraculous. We fall in love with the remarkable triumvirate as they battle a warped criminal-justice system and test whether it’s beyond repair.